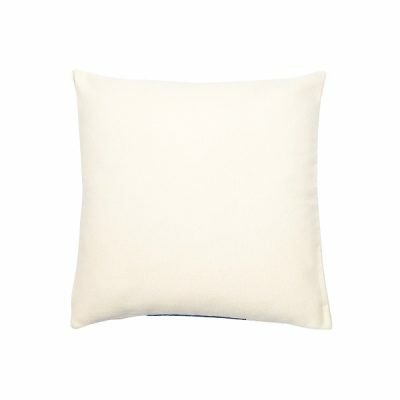 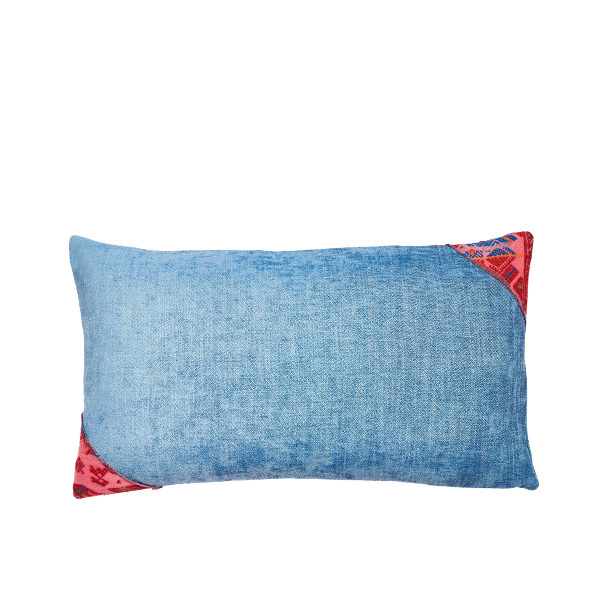 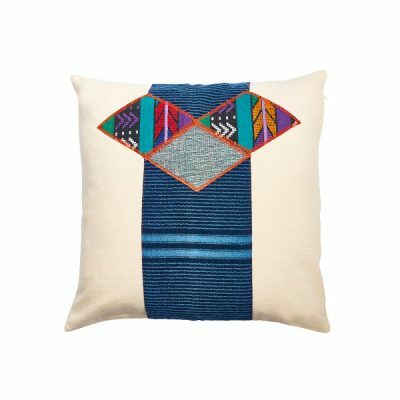 A unique pillow created from pink vintage huipil fabrics from Nahualá and super soft blue chenille. 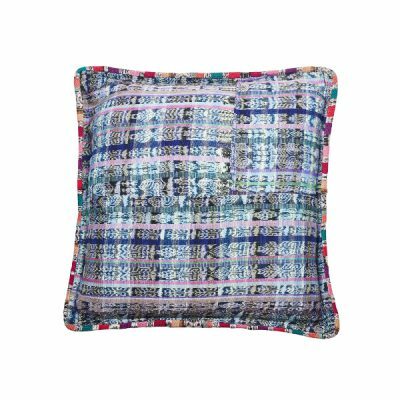 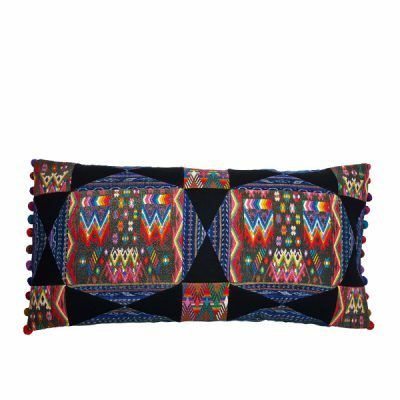 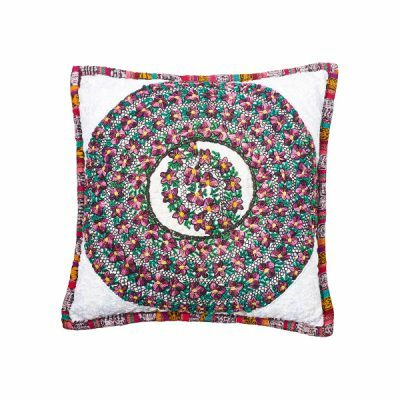 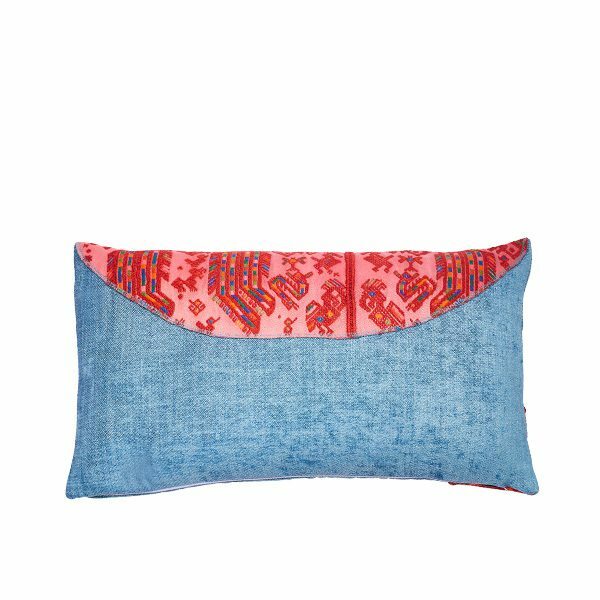 For this couch pillow we up-cycle handwoven fabrics and bring new life to this repurposed huipil textiles. 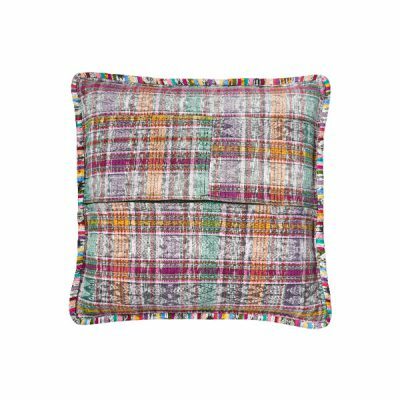 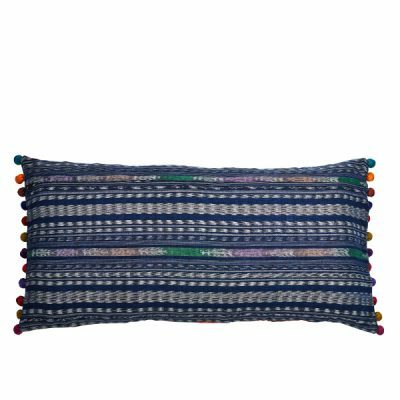 The depth of colour and handwoven texture of this pillow lends a touch of cosy charm to any sofa or chair and brings spirit from Guatemala to your home.